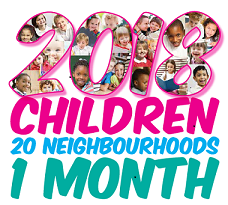 Throughout the month of January, Councillor Mellen, our Portfolio Holder for Early Intervention and Early Years, was out and about in Nottingham undertaking a challenge to read a story to 2,018 children in all the city’s neighbourhoods, to raise funds for the Dolly Parton Imagination Library. Stories were read to youngsters in a variety of different venues: school assemblies and classes, nursery groups, library sessions, the QMC children’s ward, Stonebridge Farm and even a narrow boat down the Nottingham Canal! The 2018 Challenge has really raised the profile of the Imagination Library! In total Councillor Mellen read stories in 43 different venues and visited each of the 20 wards of the city at least once!